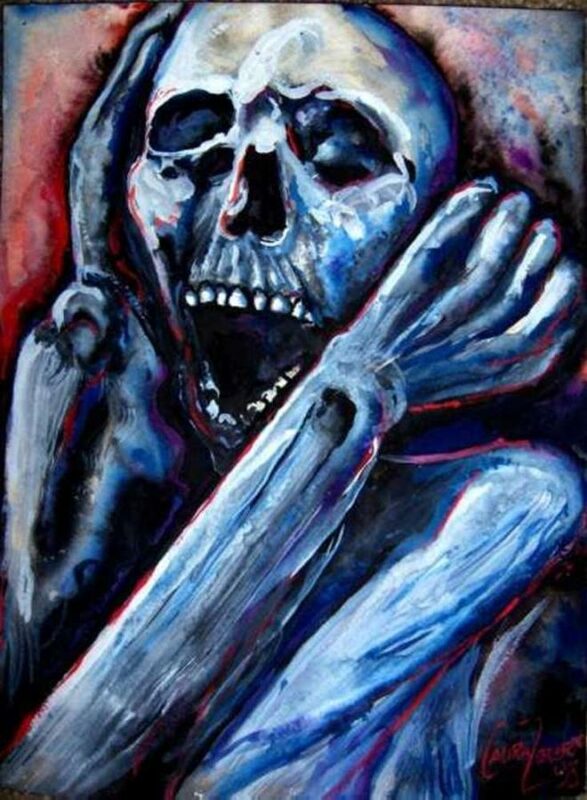 Painting of a mummified corpse and still a favorite in my inner goth world. I was intrigued by the position and the “scream” effect. I used to pull it out and post it on the door on Hallowe’en. I had some buttons made with this image titled “This Too Shall Pass“.